"Gluten-Free Taco Seasoning Mix adds the flavors of the Southwest to a marinade for steak cubes for kabobs. 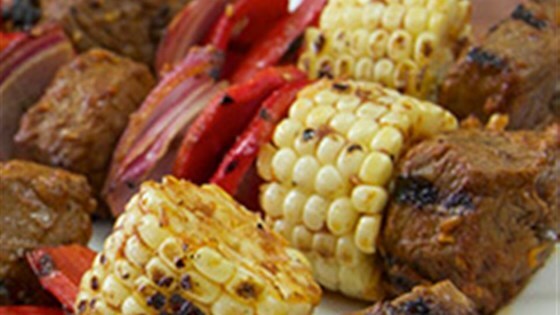 Use fresh corn at the peak of its season so it grills up sweet and tender." The whole family loved the meat. For the life of me I couldn't get the corn cut into small pieces but otherwise followed the recipe. The taste is amazing!!!! Definitely adding to my favorites! !